Microsoft has made opened up pre-orders for all its Surface Pro 2 models – 64GB, 128GB and 256GB – but has missed out on the 512GB variant for now on its UK store. The model in question is not available for pre-order and shows a ‘coming soon’ message. 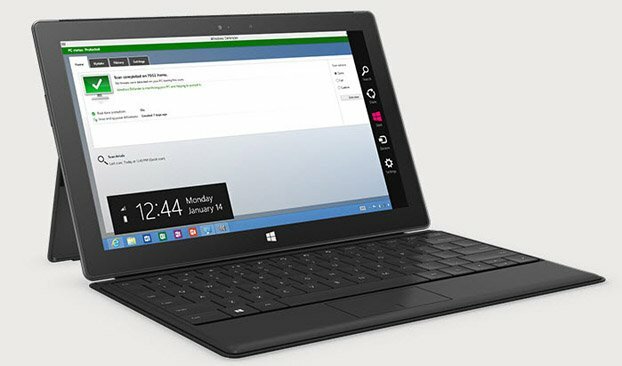 Microsoft had confirmed during the Surface 2 launch event that it would be selling only a limited number of the 512GB model, but failed to provide any information about the availability and shipment dates. Chances are that the model is still not out of its production line and hence the ‘coming soon’ message. Surface Pro 2 64GB, 128GB and 256GB priced at £719.00, £799.00 and £1,039.00 respectively are all available on pre-order on Microsoft UK store with shipments guaranteed by October 22. Microsoft Surface 2 32GB and 64GB models are also available on preorder for £359.00 and £439.00 respectively. Surface 2 will ship by October 21. Some of the key features of the Surface Pro 2 include Intel fourth generation Core i5 processors, up to 8GB RAM, 10.6 inch ClearType Full HD 1080p display, 10-point multi-touch, front and rear 720p HD cameras, Surface Pen and Windows 8.1 Pro out of the box among others. Surface 2 on the other hand is powered by NVIDIA Tegra 4 processor, 10.6 inch 1080p display, 2GB RAM, 5-megapixel rear camera and a 3.5-megapixel rear one, 5-point multi-touch, and Windows 8.1 RT among others. Some of the accessories on offer include £109.99 Type Cover 2, £99.99 Touch Cover 2, and £24.99 Surface Pen among others. Microsoft US store have already started offering the 512GB Surface Pro 2 on pre-order and we expect that the UK store will follow suit and have it listed for pre-order with shipment dates not too far off from the public launch of Windows 8.1 slated for October 18.